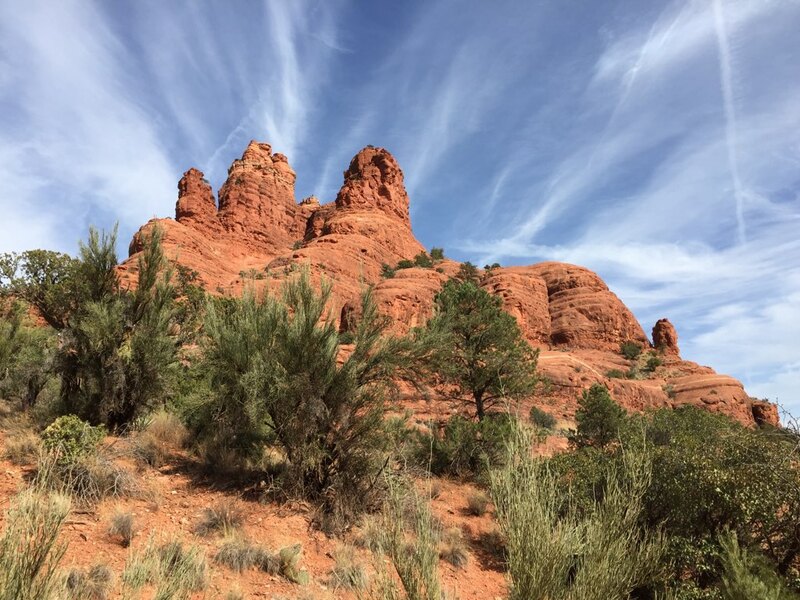 Oh my goodness…I am SO flippin’ grateful to be seeing such breathtaking beauty on this road trip. What a planet! 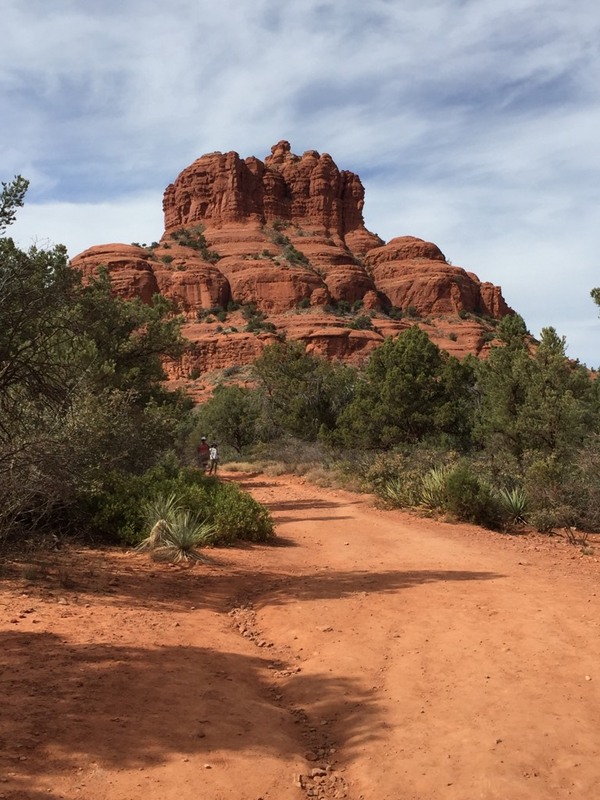 Seeing the red rocks of Sedona for the first time really DID take my breath away. 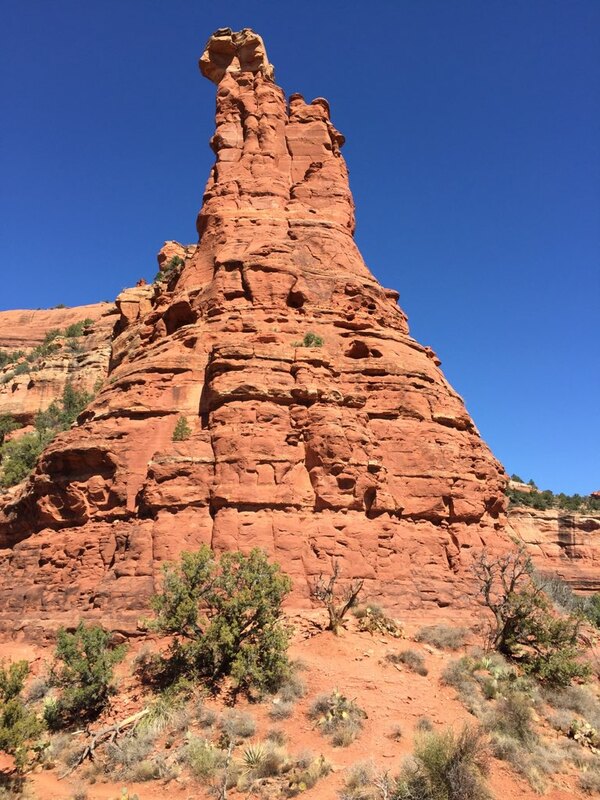 I had never been to Sedona before and wasn’t entirely convinced it could possibly be as beautiful as they say. It was. I think I left my heart there. 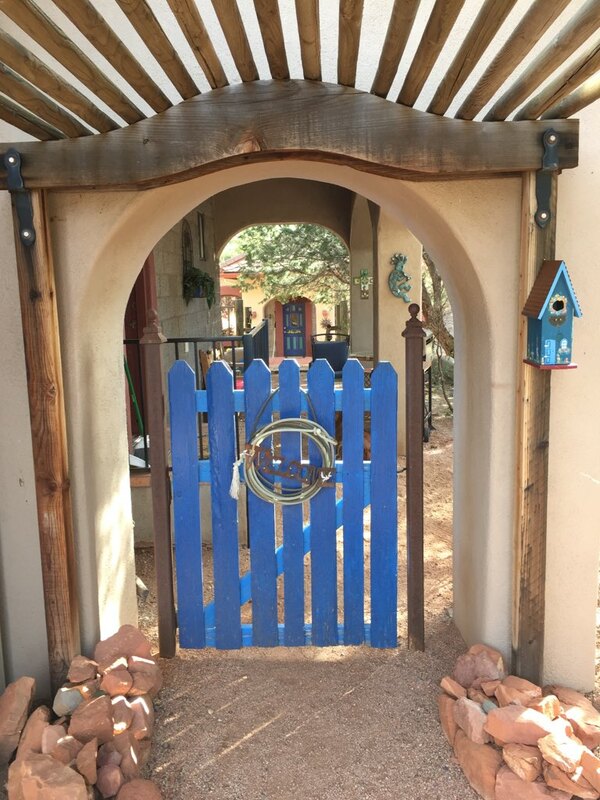 Our casita rental was perfect…clean, cozy, extremely quiet and high up in the mountains so there wasn’t much in the way of cell phone service or wifi. HOORAY! 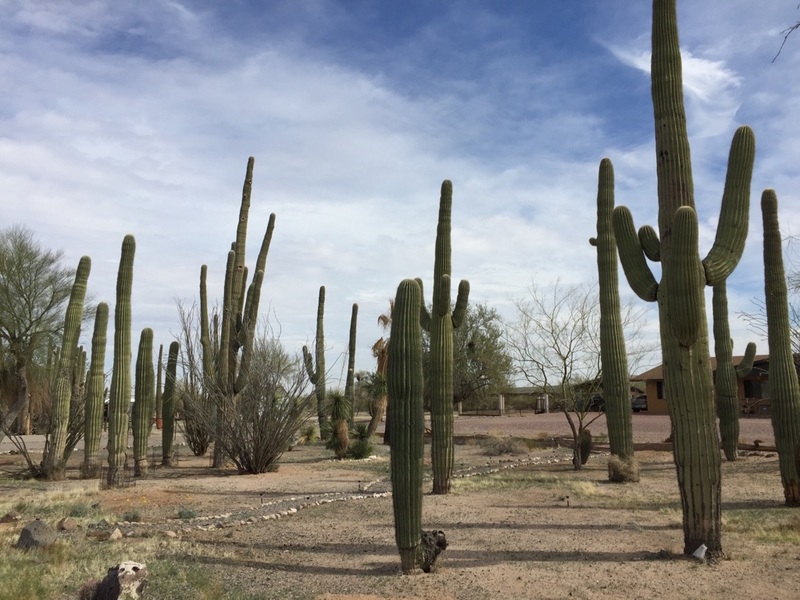 I needed to unplug for a few days…no texts, no e-mails and very little social media. When I went into town (to get to the different trail heads), I would quickly post some photos on social media but other than that, the break away from the damn phone and e-mail was very much needed. I came home from a hike one day and got chatting with the woman, Sue, who lived in the home behind my casita. She invited me for a drink so I went over, hummus & crackers in hand. We talked like we’d known each other for years – and then went back to our respective routines. I suspect that is how it goes in Sedona. 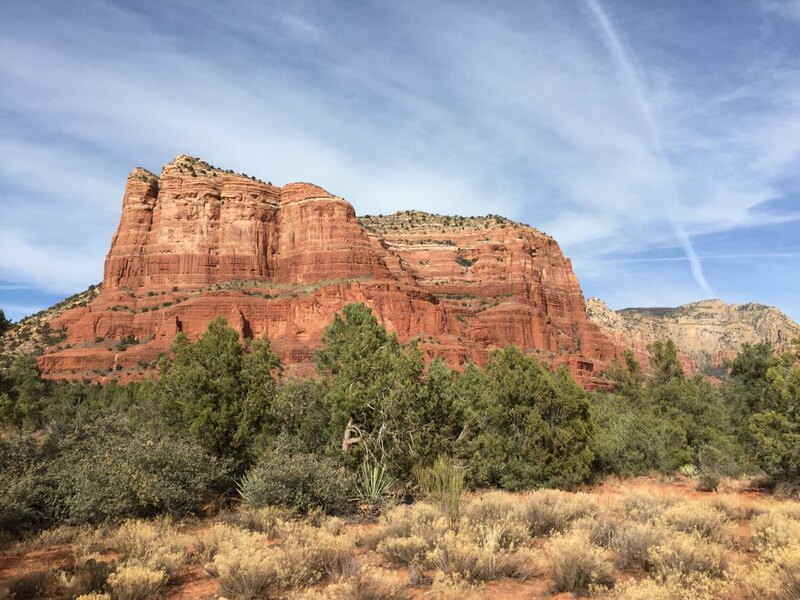 Of course, Sedona is also believed to be a vortex meditation site…places of power in the red rocks that enhance prayer, contemplation and reflection for people of all faiths. A vortex, I learned, is an area of enhanced energy that is thought to provide inspiration and well-being. 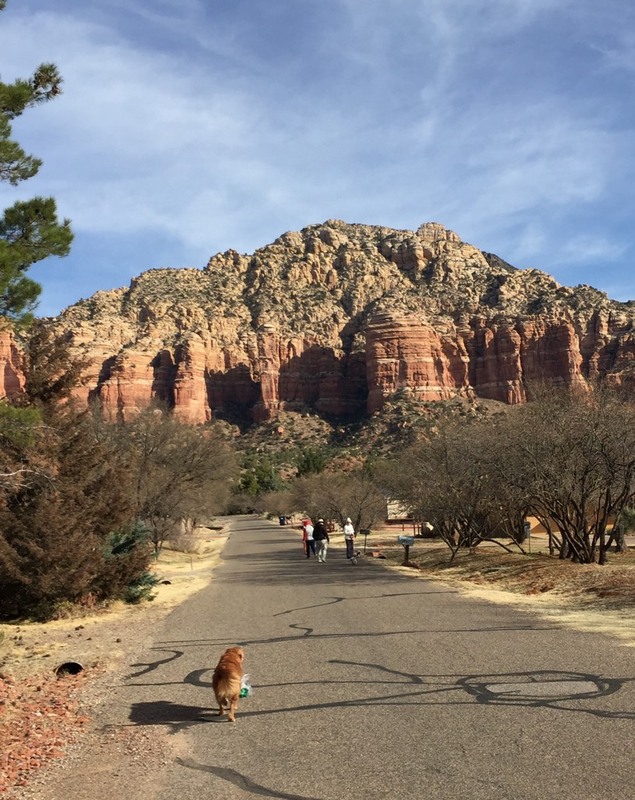 Whatever the heck is going on, energy-wise, in Sedona I tapped into it big-time. From a writing perspective, I stopped being so adamant about finishing one project before working on another, which is really scary! 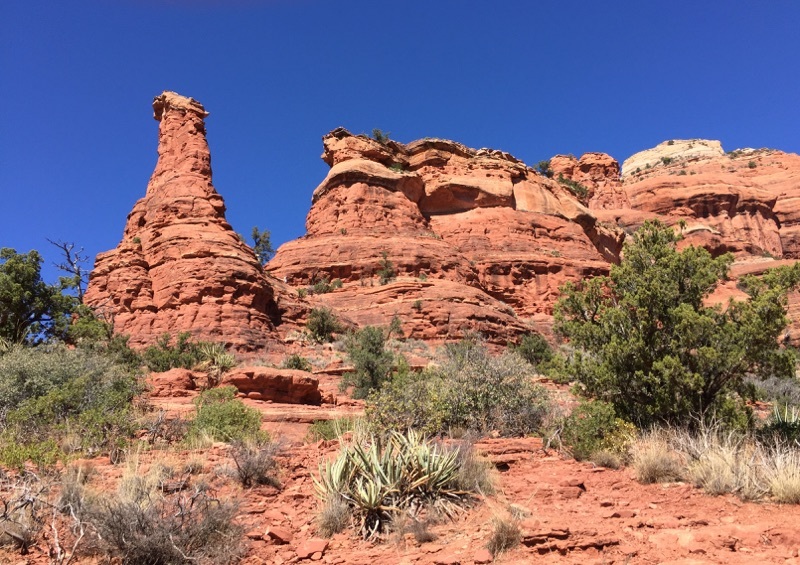 But in Sedona, I felt the need to relax a little and allow myself to work on the project that was calling to me that day versus forcing myself to finish what needed finishing. Sure enough, my creativity soared…and I had insights in one project that sparked insights on another. 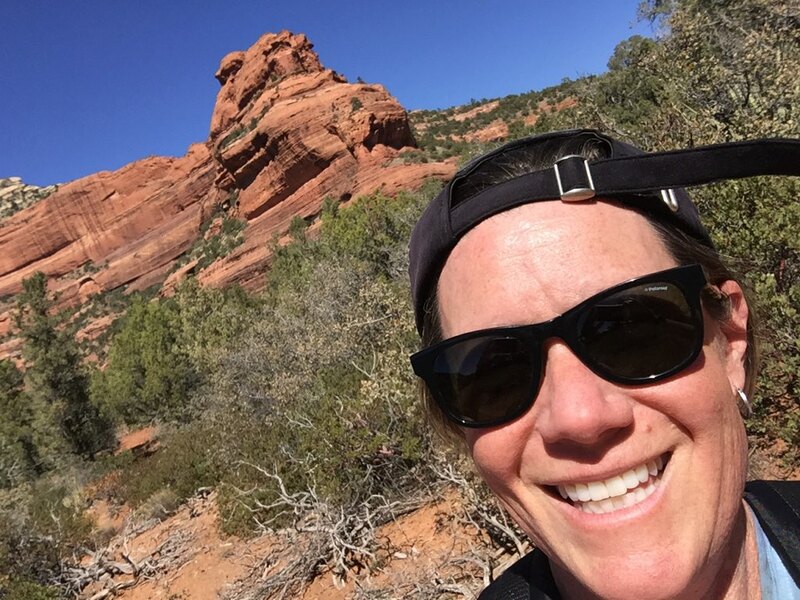 The combination of unplugging from technology for a few days and allowing myself to write for the sheer joy of writing, (instead of writing to get the damn thing done) seemed to unplug whatever it was that had got stuck…the old synapses were certainly firing in Sedona. And then, on the day I went hiking at Boynton, the parking lot was full so I asked an old-timer where I could park. He suggested (a tad grumpily) that I park in “RV only” area. 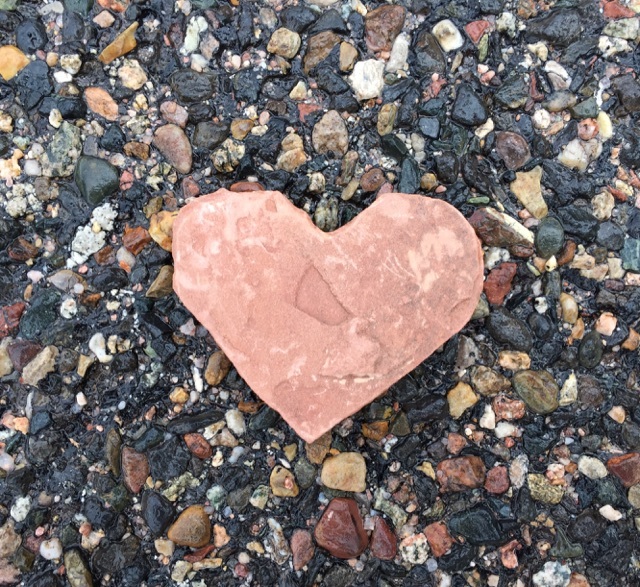 So I was just about to pull away when he reached into his pocket and pulled out a heart-shaped red rock and handed it to me. I smiled, thanked him and took the rock. Magic was just the word I needed to hear for the writing project I’d been working on that morning. I suspect that sort of thing also happens quite a bit in spiritual Sedona. On our last day, the weather shifted back to the more seasonal norm and it was cool enough to take her with me on a hike. 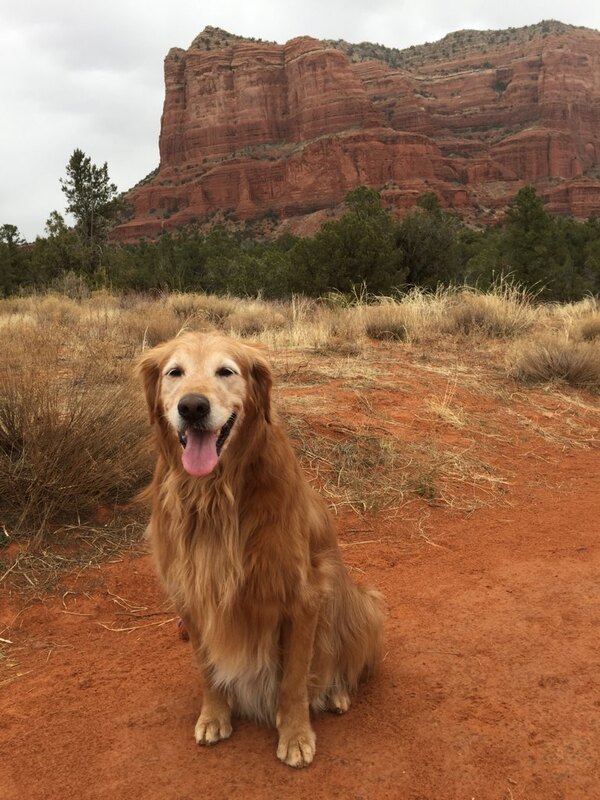 This is a great shot of Sadie…she matches red earth! 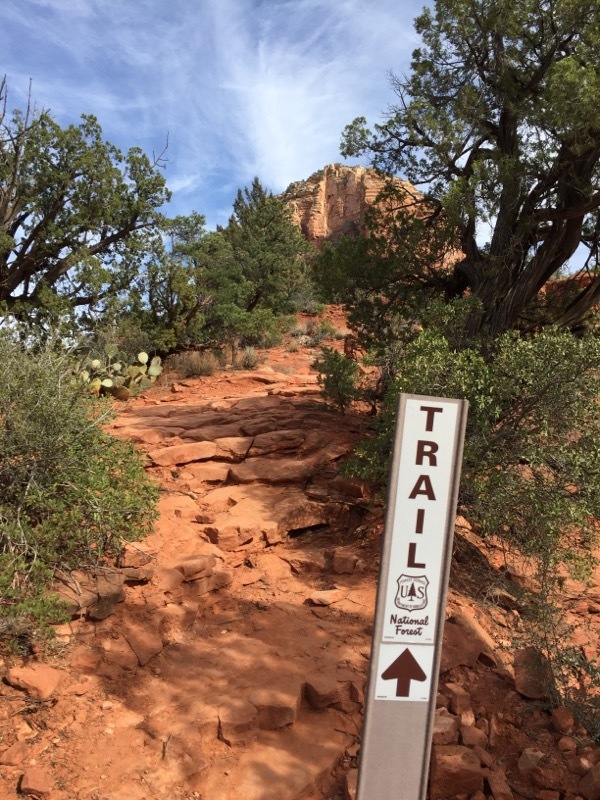 Then we left Sedona and headed to Tusuyan to see the Grand Canyon…I shall save for those photos for next week. Pictures look spectacular! Thank you for sharing! Can’t wait to see The Grand Canyon pics! Safe travels!